Are you looking to add the style and comfort of carpet to your residential or commercial setting? Be sure to visit Carpet One Floor & Home of San Ramon for all of your needs. We’re proud to be your neighborhood experts when it comes to quality carpets, as we offer the area’s best selection. Carpet continues to be a top choice in flooring among homeowners due to its comfort qualities. Carpet is more durable than you think, and comes in options that are stain, fade, and wear resistant. We can match you to the best carpet for your home using our unique Select-A-Floor™ system which narrows down your selection based on your lifestyle and personal style. 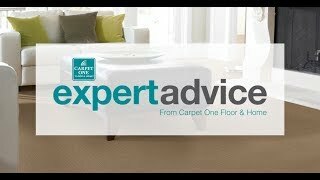 What Are the Popular Carpet Types? Carpet continues to be one of the most popular flooring choices in homes largely because of its versatility. There are, for example, so many different options from which to choose, including berber carpet, shag carpet, and frieze carpet. Berber carpet is a popular choice in homes because it’s available in nylon and wool. We love wool carpets because they are naturally soft and wear resistant. For extra softness, take a look at shag carpet, but if durability is a concern, frieze carpet is a better option. Carpets are a great choice to install in bedrooms, dens, or you can even install them in living rooms as well. Our stain, wear and fade resistant carpets can be installed in places around your home that experience a lot of traffic like stairs, hallways, and even children’s playrooms and basements. What about commercial settings? Commercial carpet, since it’s made to handle foot traffic and other impacts, is harder underfoot than residential carpet. But, it does remain softer than many other flooring options. Carpet tiles are popular in commercial settings because, although they look and feel like regular carpet, they are extremely durable and easy to maintain. Carpet makes your home feel warmer and cozier. As your local neighborhood flooring experts, we want to make sure you find the best carpet for your home. Check out our carpet selection at our showroom in San Ramon, CA and choose which carpet is right for your home! We offer name brands carpets you love in addition to our exclusive brands including Relax, it’s… Lees®, Tigressá®, and Innovia™. Learn about the different types of carpet. Loop, pattern, frieze, plush and texture are all options. But it's important to know which type is best for you. The type of carpet you choose should reflect your style. But you should also consider the room and how it is used. We are here to help you find the best option for your needs. There are different ways your carpet can get damaged. It is important to understand the different warranties for various carpet types to know which type of damage is covered.